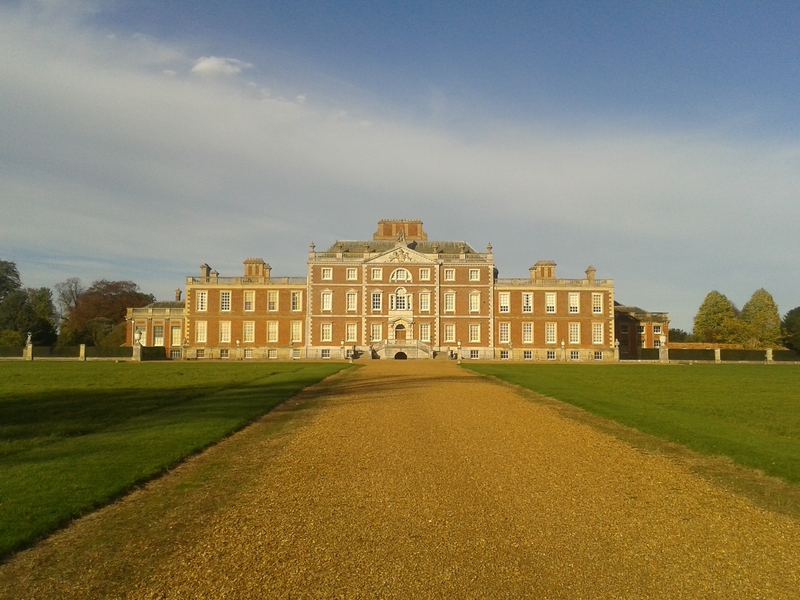 Wimpole Hall may be wrapping up for winter, but that doesn’t mean that everything stops. All may appear still and quiet outside, but in fact there’s possibly even more opportunities to delve behind the scenes at the moment. Everyone working in the Hall through the winter months is eager for the public to see what’s what and learn more about the conservation processes taking place. The Conservation Team have been working really hard on the Winter Clean, getting as much done as possible. They have been giving guided tours of the attics in order to show visitors areas that are not usually a part of the public route. They have been explaining to visitors all that goes into the Winter Clean; the importance of cleaning and dusting for the purpose of preventative conservation, and the methods involved. 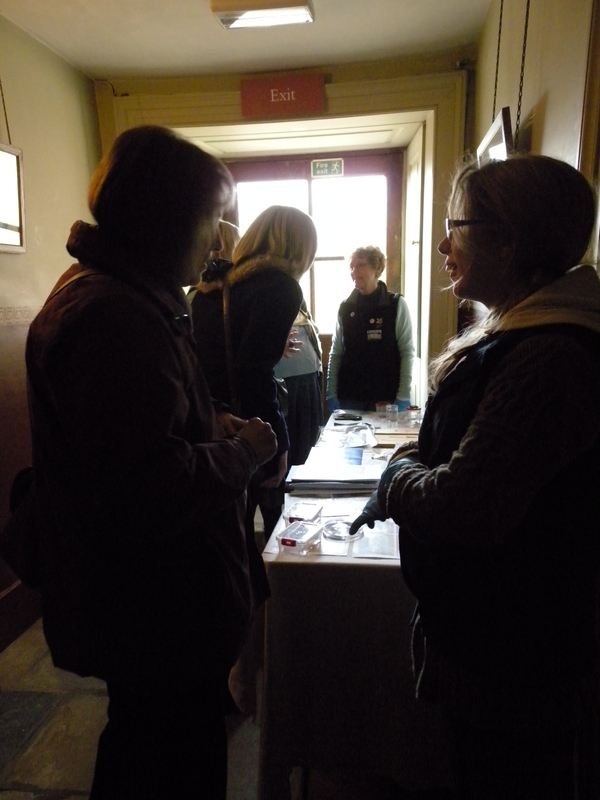 In the above picture House Stewards Jess and Victoria are giving a talk about the ways we ‘put the house to bed’. More preventative conservation methods would be things like pest management, the removal of mould and also simple things like environmental control. So here Julia and Val are just explaining some of these aspects to the public. 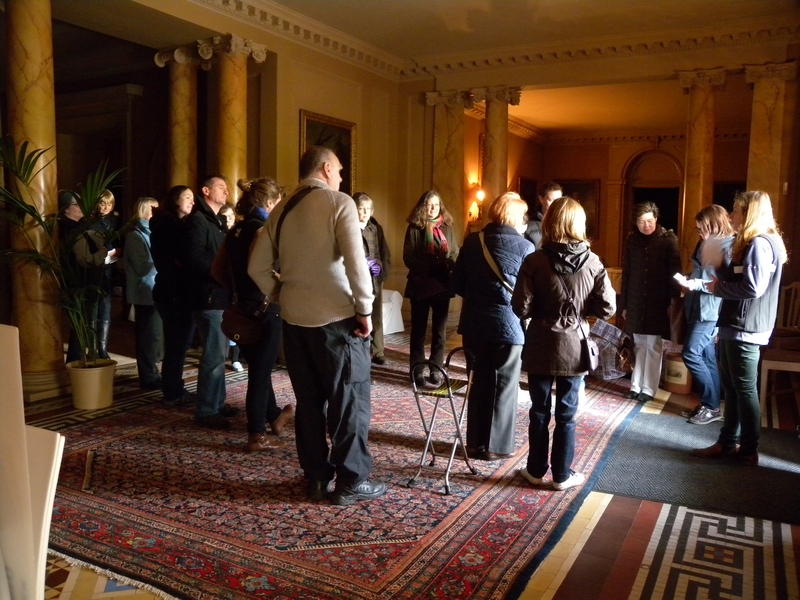 Winter Basement tours have also been taking place throughout November. If you think this sounds good and would like to come along, please do check out our Events page for more information. So what treasures have we stumbled upon this week with the progression of the re-cabling project? 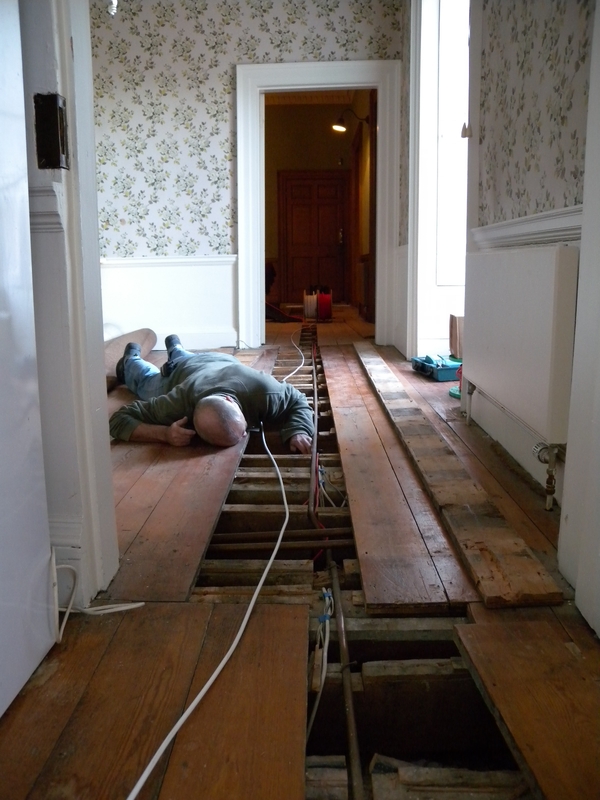 Well this is Norman and he’s investigating under the floorboards on the first floor of the Hall. Unfortunately the only item discovered was a (fairly modern) cigarette packet, but there was also something else. Sawdust! Is this sawdust meant to be here, we wonder? 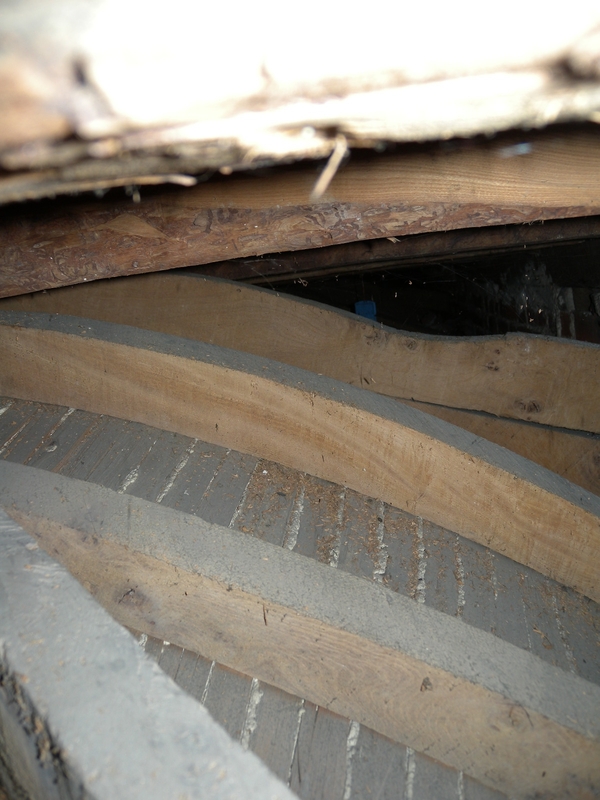 On first glance it looks as though rodents could have been at the woodwork and caused this frass like substance. But so much of it was discovered that perhaps this is unlikely. Traditionally, readily available substances such as sawdust or sand would have been used as sound proofing materials, so this is another possibility for the discovery. The only problem with this theory is that sawdust would be an obvious fire hazard. Also the trapped moisture it generates is known to be a huge cause of mould, so perhaps not the best for sound insulation…Are there any thoughts as to what this sawdust is doing here? 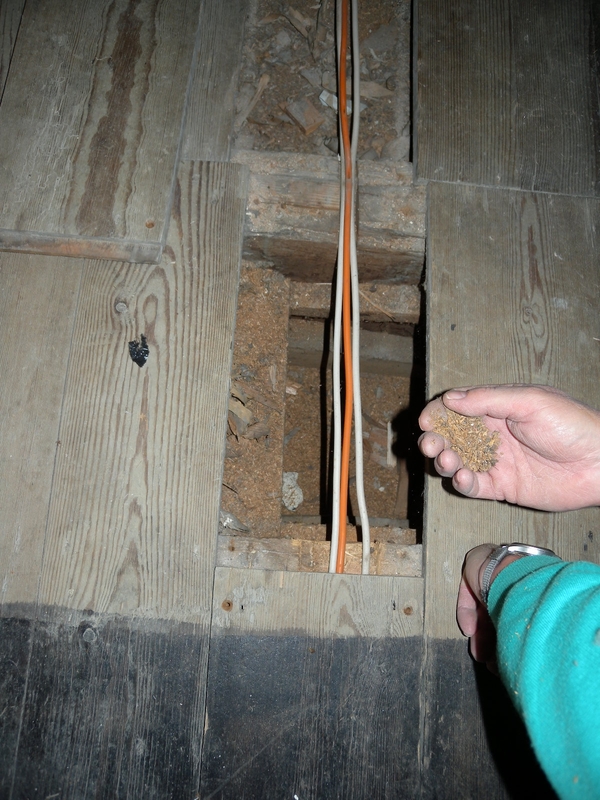 One more ‘under the floorboard’ picture; this is from around the same area. It’s the top of the Chapel, which is to the East side of the Hall and was originally built in the early 1700s. This is actually the first time we have seen this architecture of the curve at the top. So that was a rather great find! 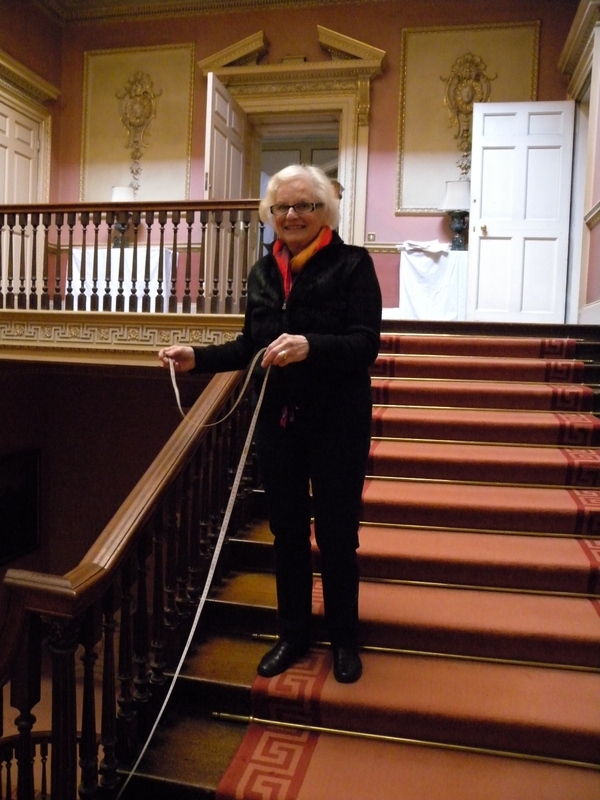 This entry was posted in Conservation, Mansion and tagged attics, basements, cambridgeshire, conservation, floorboards, hall, wimpole, wrapped by luciackersNT. Bookmark the permalink. Fascinating update and it’s a shame I don’t live closer to experience these revelations first hand.